This course, starting at the cache Queimadas (Santana) and finishing at Caldeirão Verde, has an extension of 6 Km and it is at 990 meters high. The course will lead you to an earthcache created in 2008 having earned many favourites. 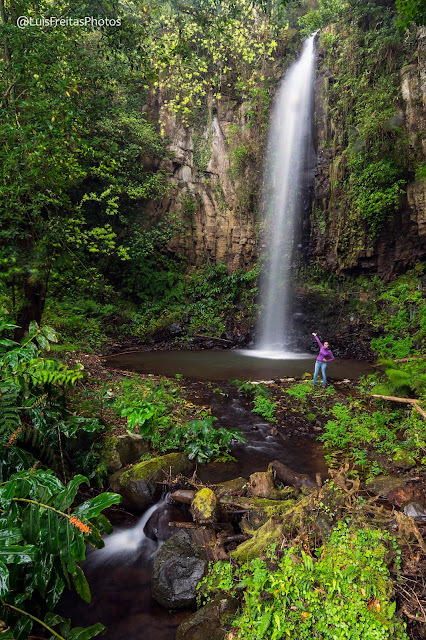 This track is extremely rich in its landscape surrounded by water falls, fauna and flora. At a certain point, you will find several tunnels. The longest has 220 meters. After enjoying the beauty of Caldeirão Verde, and if you do not suffer from vertigo, you can go on by the levada (with no fence) until Moria and Caldeirão do Inferno.